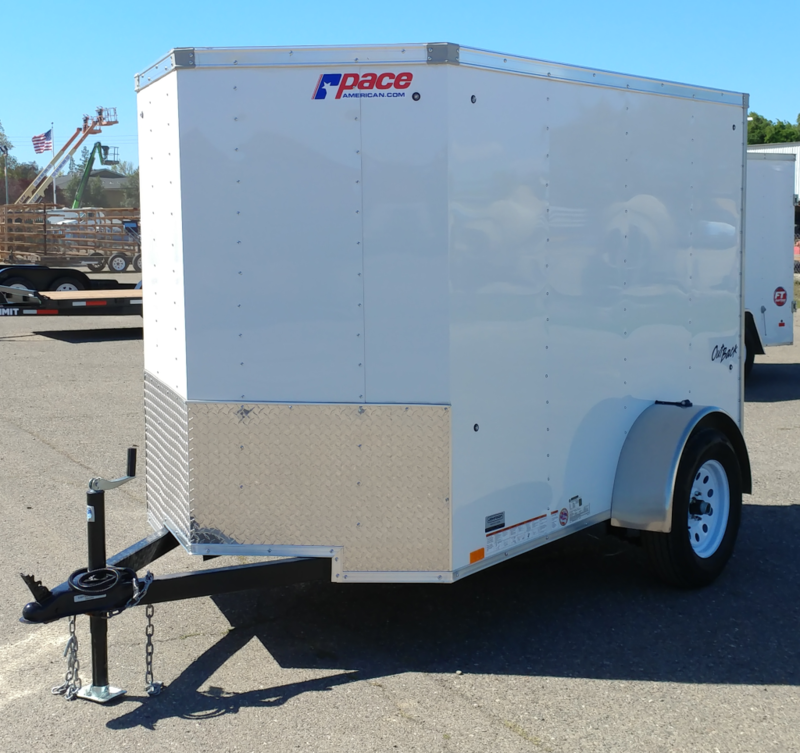 This PAOBV60SA-8-RR (5×8) enclosed trailer is from the Out Back line of Pace American trailers. 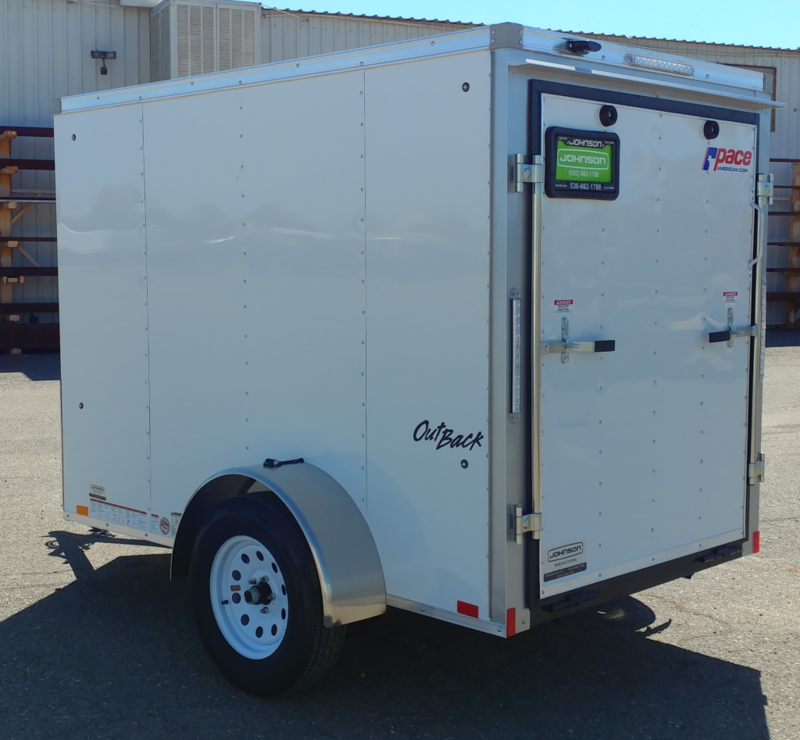 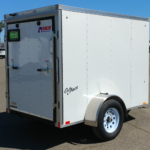 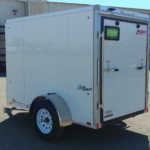 The Out Back is Pace’s entry level line of cargo trailers, offering a good trailer at a great price. 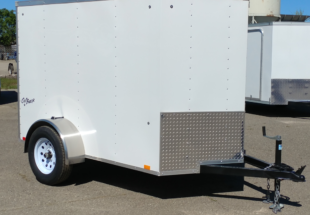 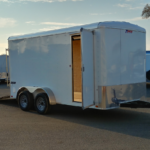 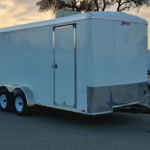 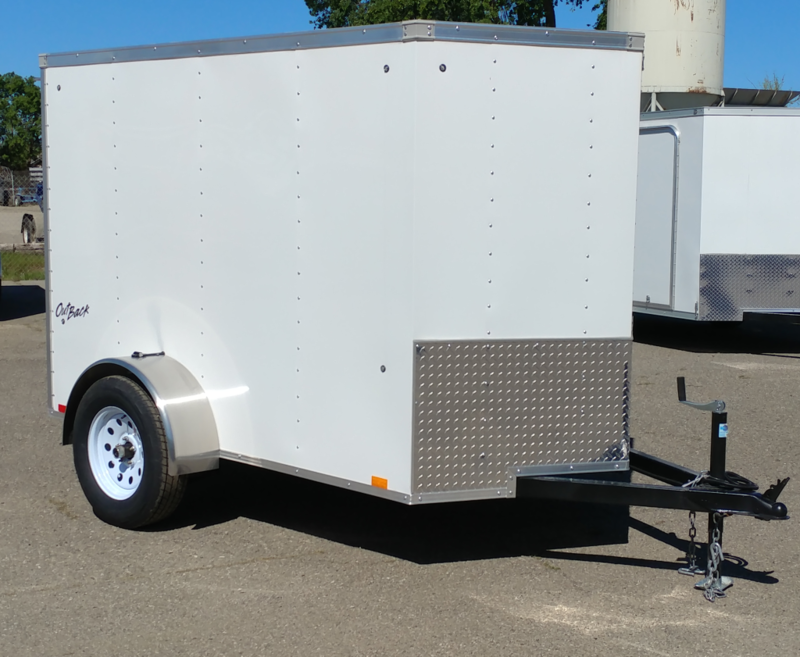 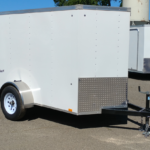 This trailer is perfect for anyone looking for extra storage or something to move with, all while cutting down on the overall size of the trailer. 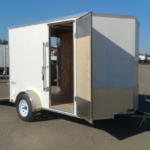 It has a rear ramp door for easy loading of any landscape equipment or other various cargo. 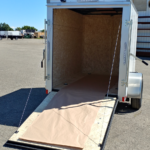 Other features include a 4″ drop leaf spring axle that provide a very low deck height, V-nose front, radial tires, and LED lights on all sides. 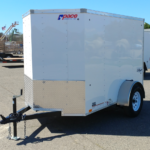 Like all our other Pace trailers, this one comes with a 3-year Pace warranty on the entire trailer – much longer than our competitors.